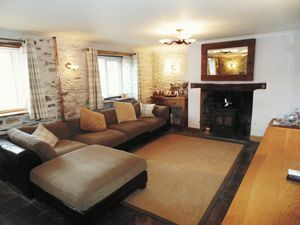 SUBSTANTIAL PERIOD HOUSE that has been WONDERFULLY RENOVATED in recent times to create a SPACIOUS FAMILY HOME. 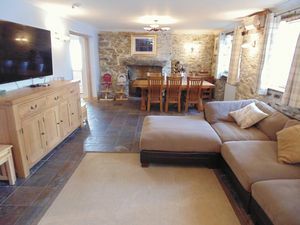 There is an ABUNDANCE OF CHARACTER, with stone FIREPLACES and EXPOSED STONE WALLS and the property has been fitted with a high specification kitchen, bathrooms and BESPOKE FITTINGS. 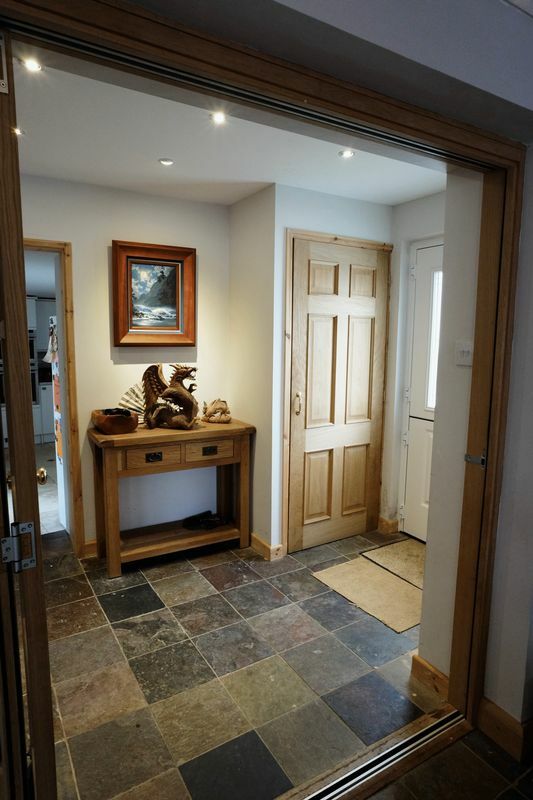 The accommodation in brief compromises an entrance hallway, kitchen, utility room, study, large living/ dining room and cloakroom on the ground floor. 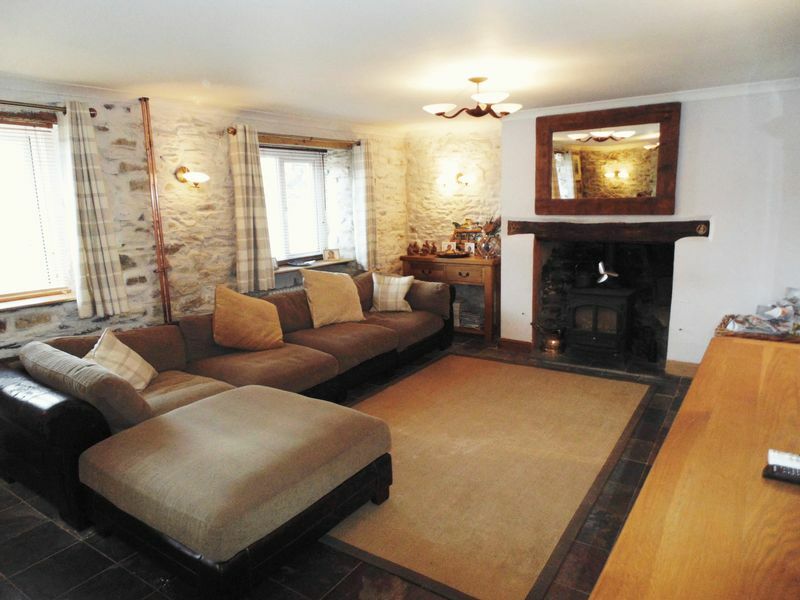 On the first floor there are four bedrooms, one with a master en suite and family bathroom. Outside there is a courtyard leading to a stone barn. This could have potential for residential use, subject to the necessary consents. Beyond the stone barn is the rear garden. 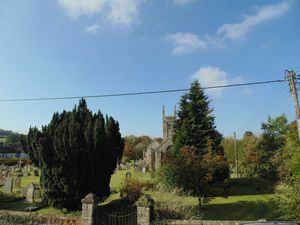 The property is well located in the village, with distant moorland views to the rear and open views to the front over the church and its grounds. Bridestowe is a charming rural village on the Northern fringes of the Dartmoor National Park. 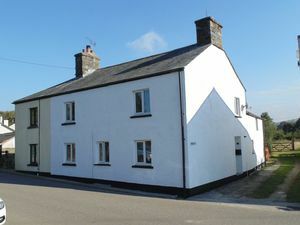 The village has a range of facilities including a Post Office/Store, thriving Inn, Primary School and a modern village hall. The village is situated within easy reach of the Dartmoor National Park with its hundreds of square miles of unspoilt scenery and many opportunities for riding, walking and outdoor pursuits. The Granite Way runs close to the village providing access to miles of off road cycling and walking. 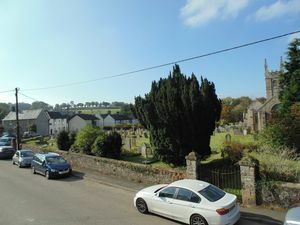 The A30 dual carriageway is close by offering a direct link West into Cornwall and east to the Cathedral City of Exeter and with its M5 motorway, mainline rail and international air connections. The nearby town of Okehampton offers an excellent range of shops and services, three supermarkets including a Waitrose together with schooling from infant to sixth form level. There is also a leisure centre in the attractive setting of Simmons Park. 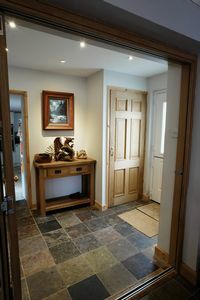 Doors to kitchen and study. Sliding bifold doors into living room. Radiator. Cupboard housing the boiler with shelving. Obscured glazed window to side. 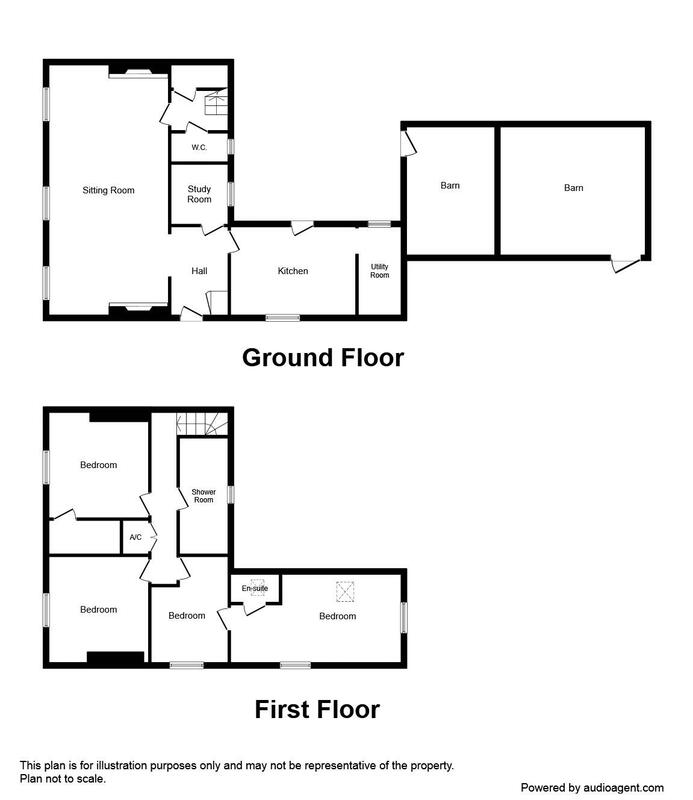 Range of base and eye level units. One bowl sink. Space and plumbing for dishwasher, counter top tumble dryer, washing machine and fridge/freezer. Underfloor heating. Three windows to front. Two radiators. 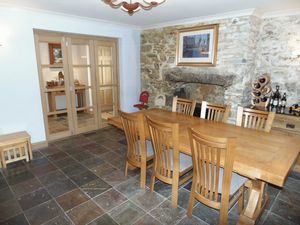 Two stone fireplaces, one to each end, one fireplace with woodburner and bread oven. Window to rear. Radiator. Low level WC. 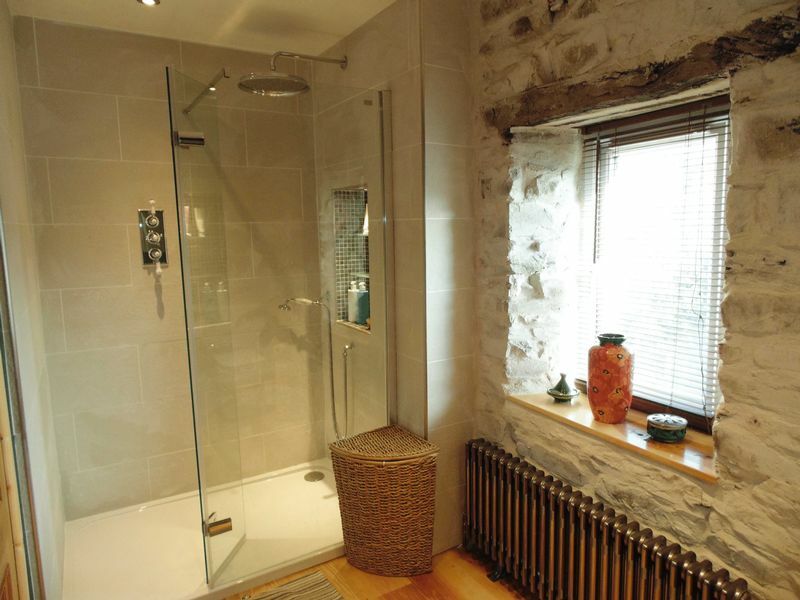 Sink and pedestal with hot and cold taps over. Loft access. Radiator. Cupboard housing hot water cylinder with shelving. Window to front. Radiator. Walk in wardrobe. 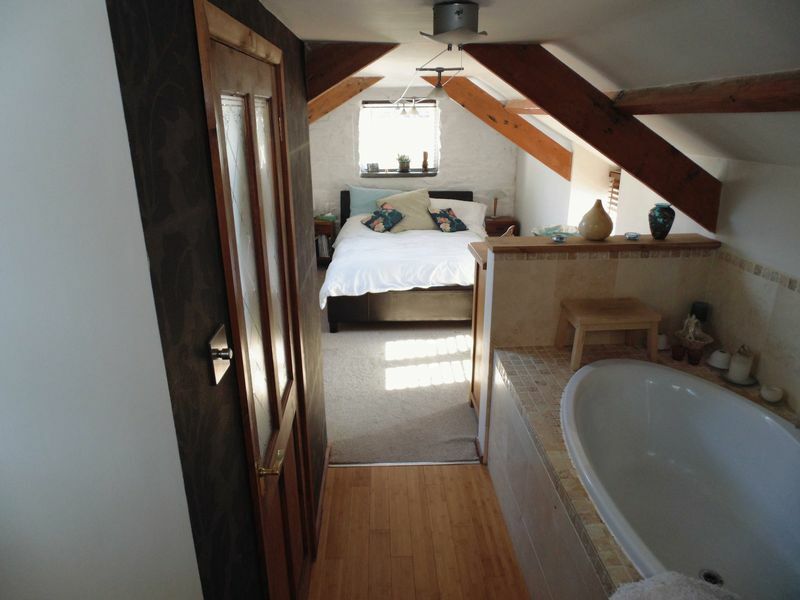 Loft access. Window to front. Radiator. 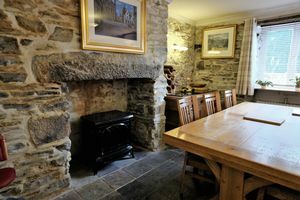 Traditional fireplace. Velux window. Low level WC. Sink and vanity unit. Window to rear. Radiator. 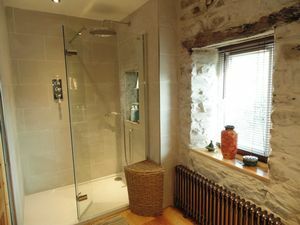 Double shower. 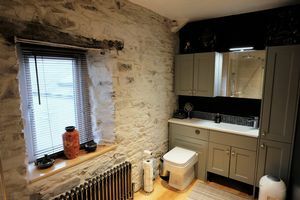 WC set into vanity with cupboards and sink over. Extractor. Views over moorland. A substantial stone barn with slate roof and timber doors. Internally the barn is divided into two sections by a blockwork wall with mezzanine level over one half. 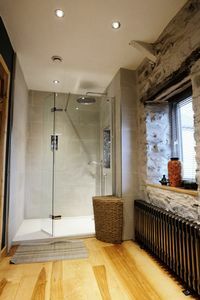 To the rear of the house is a courtyard bounded by and with access to one end of the traditional stone barn. Behind the barn is a large level lawned area, with a wide raised flower bed and stone retaining wall with a small sunken paved patio area. 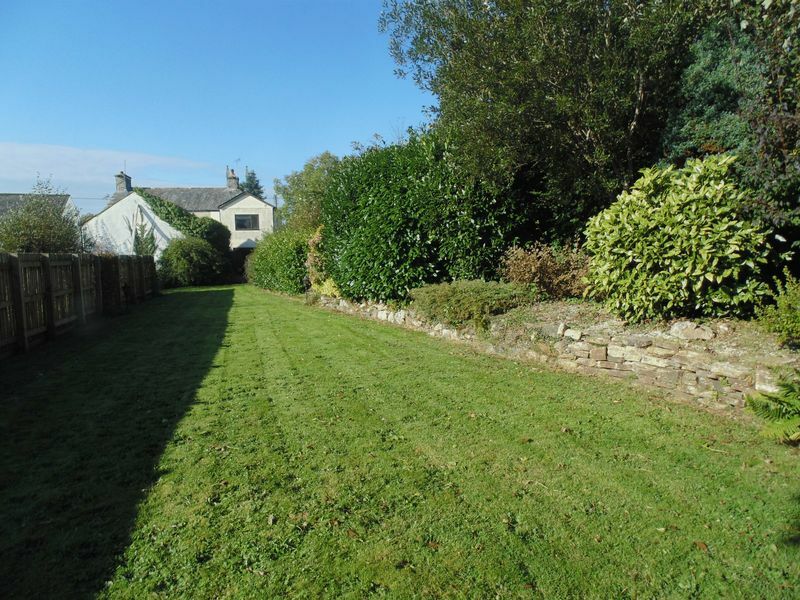 This is a very private garden with fabulous open countryside and moor views behind. Leading from the large lawn is a smaller level lawn behind the barn and this returns, via pedestrian gate, to the vehicular side access, where there is an off road parking space. 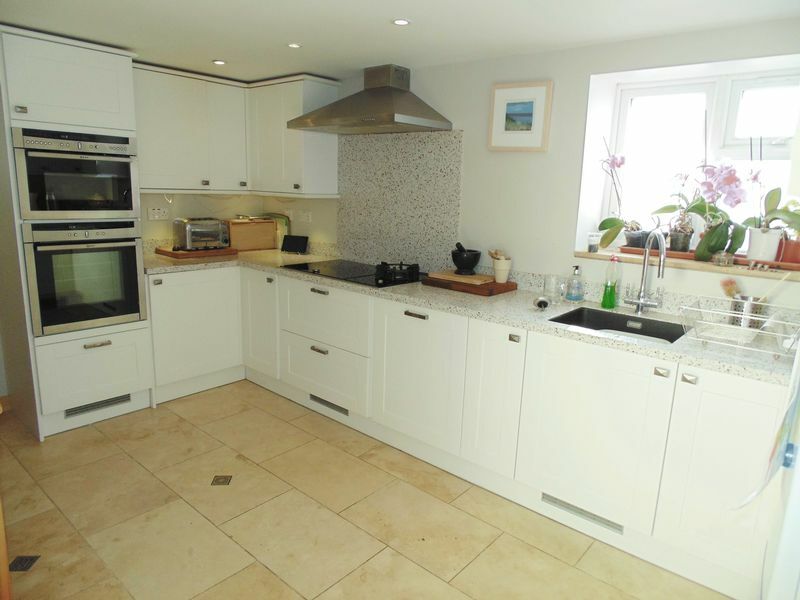 Mains electricity, Water, Drainage and LPG gas.